With the recent 2018 AHA Focused Update, lidocaine is back in the Adult Cardiac Arrest Algorithm with an equally weak recommendation as amiodarone (Class IIb; Level of Evidence B-R).4 The AHA continues to acknowledge that an antidysrhythmic medication is unlikely to cardiovert ventricular fibrillation or pulseless ventricular tachycardia into normal sinus rhythm. However, the goal of administration is to aid in successful electrical defibrillation and decrease the likelihood of recurrent dysrhythmias. Both amiodarone and lidocaine are associated with significantly improved short-term outcomes (e.g., return of spontaneous circulation (ROSC), survival to hospital admission, etc), though neither drug has been proven to increase long-term survival or improve neurologically-intact survival to hospital discharge. Lidocaine may have practical superiority over amiodarone given its availability in a ready-to-use, prefilled syringe containing 100 mg/5 mL, which provides the proper weight-based first dose for patients 66.7-100 kg (1-1.5 mg/kg). There is insufficient evidence to support or refute the routine use of β-adrenergic blockers or lidocaine early following achievement of ROSC for prophylaxis against recurrent dysrhythmias (strength of recommendation and level of evidence not stated). To summarize, let’s welcome lidocaine back into the fold but remember that proper CPR and early defibrillation should still be prioritized over any medication. 2005 American Heart Association Guidelines for Cardiopulmonary Resuscitation and Emergency Cardiovascular Care. Circulation. 2005;112(24 Suppl):IV1-203. PMID: 16314375. Neumar RW, Otto CW, Link MS, et al. Part 8: adult advanced cardiovascular life support: 2010 American Heart Association Guidelines for Cardiopulmonary Resuscitation and Emergency Cardiovascular Care. Circulation. 2010;122(18 Suppl 3):S729-67. PMID: 20956224. Olasveengen TM, De caen AR, Mancini ME, et al. 2017 International Consensus on Cardiopulmonary Resuscitation and Emergency Cardiovascular Care Science With Treatment Recommendations Summary. Circulation. 2017;136(23):e424-e440. PMID: 29114010. Panchal AR, Berg KM, Kudenchuk PJ, et al. 2018 American Heart Association Focused Update on Advanced Cardiovascular Life Support Use of Antiarrhythmic Drugs During and Immediately After Cardiac Arrest: An Update to the American Heart Association Guidelines for Cardiopulmonary Resuscitation and Emergency Cardiovascular Care. Circulation. 2018;138(23):e740-e749. PMID: 30571262. 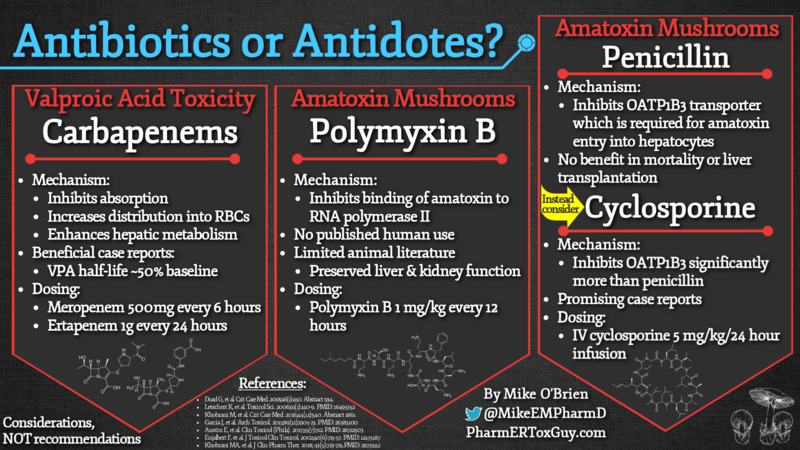 Previous Previous post: Antibiotics or Antidotes?